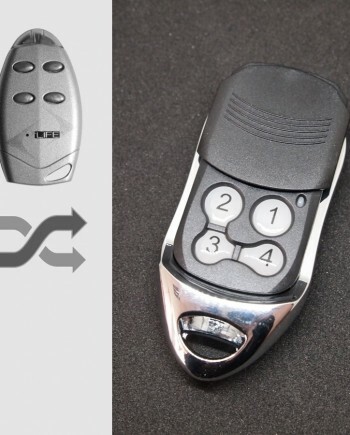 An aftermarket compatible remote, perfectly replaces your original plastic Somfy remote control, works where Somfy KeyGo 4 RTS works. Wondering if it works same as Somfy KeyGo 4 RTS remote? Watch our video showing how we program it to Somfy gate control board. 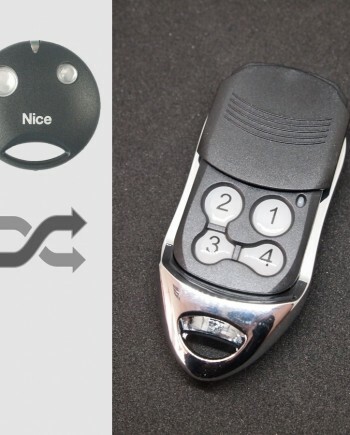 Our Somfy #S2 compatible remote replaces many Somfy remote models including genuine Somfy KeyGo 4 RTS key fob remotes, as well as other Somfy remote models such as KeyGo T4 PRO, KeyTis 2 RTS, KeyTis 4 RTS, KeyTis NS 2 RTS, KeyTis NS 4 RTS, KeyPad RTS etc, it also works with Simu Hz radio remote systems made by SIMU company. Compatible Somfy receiver includes Axovia 160S, 170S, 220A, 300S, 400C, Ax24, Ax230, Elixo, Lxengo, Axorn 50, 70, 90, Dexxo, AxRoll, FreeRoll, Oximo RTS, Orea RTS, Altus RTS, LT CSI RTS garage door opener control board, gate receiver and roller shutter control board. Not compatible with some other Somfy remote control models which looks similar, such as KeyGo IO & KeyTis 4 IO working at 868 MHz. 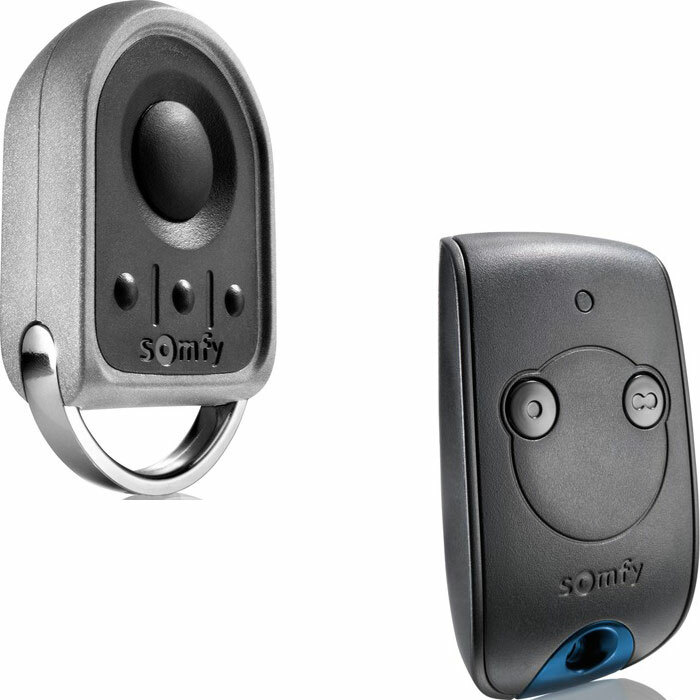 Somfy remotes are made by Somfy, a French company who specializes in control systems for building motorizations, including garage doors, gates, roller shutters as well as sun blinds. Based on our marketing research, the best-selling Somfy remote control models are Somfy KeyTis, Somfy Telis and Somfy KeyGo. 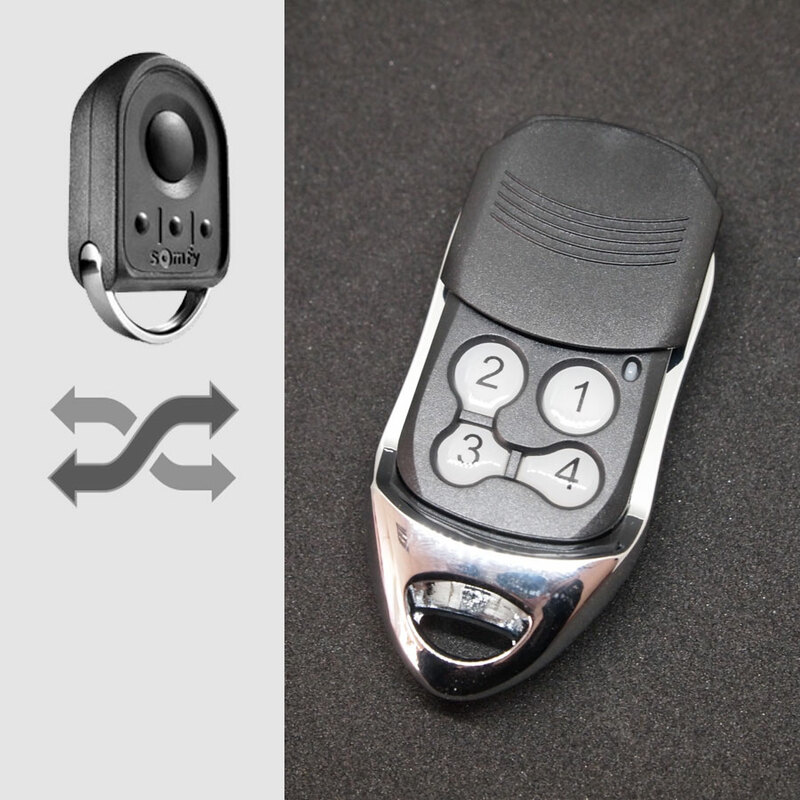 Somfy KeyGo 4 RTS is a four channel remote control key fob for automatic garage doors, gates, roller shutters etc. It is supplied with 4 coloured main button clips to allow you to personalise your KeyGo, the compact design makes it ideal to keep it in your pocket or bag. 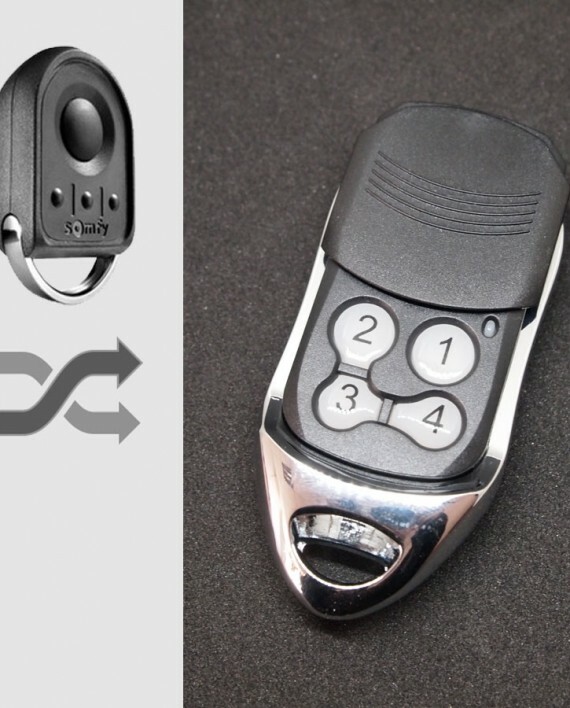 Somfy changed radio code around the year 2006 and KeyGo 4 RTS is compatible with both pre and post 2006 remotes working at 433.42 MHz, so it’s one of the most popular remotes by Somfy brand. 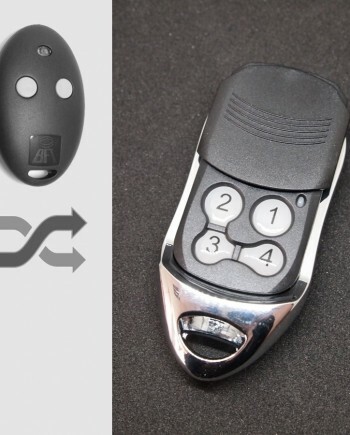 Somfy brand remotes are widely used in European countries, such as France, UK, Germany as well as Middle East countries such as Israel, so there are many locksmiths, garage door opener & gate remote dealers need Somfy remote controls in this region. Transmitting frequency at 433.42 MHz, features secure anti-grabbing rolling code encoder, uses 1 x CR2032 lithium battery, remote control distance is around 50m, with sliding cover protection. 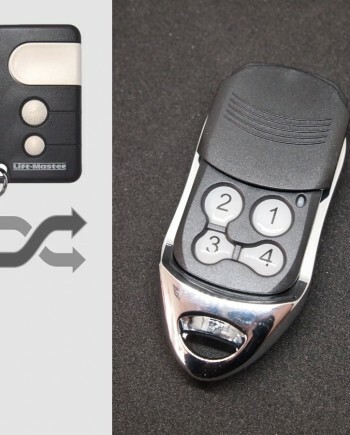 Official Somfy KeyGo 4 RTS remote control manual is available on Somfy website, showing how to program for garage door openers, gates and roller shutters, here is link to manual page 1 and page 2. 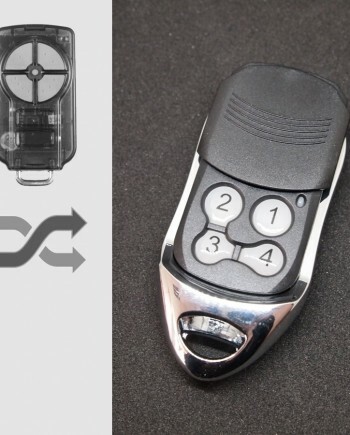 Watch programming video for Somfy KeyGo 4 RTS on YouTube, our replacement remote works the same as genuine Somfy remotes, so they share the same programming procedure. We make Somfy KeyGo compatible remote in our factory in China, so we know our products better than anyone else in the world. We’re confident in our engineering team & quality control, actually our Somfy compatible remote uses the same key components as genuine ones. 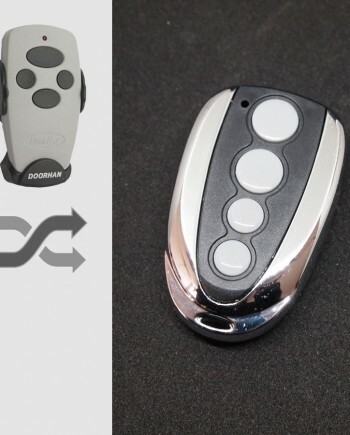 Comparing our factory-direct low price with high price of genuine Somfy remote, you can have considerable profit by selling our products. * Our Somfy compatible remotes are white label products with optional logo printing service for bulk orders.